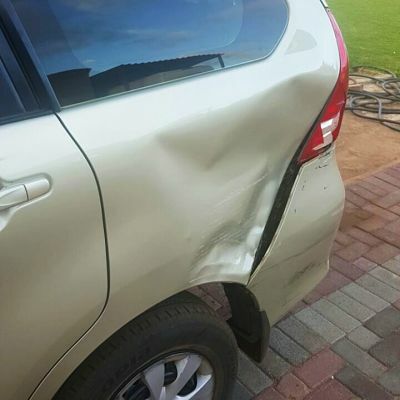 Bumper Repair Pretoria - Bumper repair costs? We remove, respray, refit. 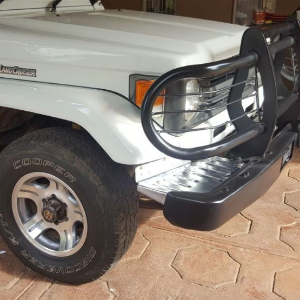 At Bumper repairs Pretoria we repair all kinds of bumper plastics and metal bull bars. As a result this includes torn bumper repairs (welding). Secondly hot staple and hot mesh systems are among the options. Thirdly we have professional equipment to restore your bumper to the highest standard. Finally and most noteworthy is our dynamic team. All cracked, split or part bumpers are built and completed. 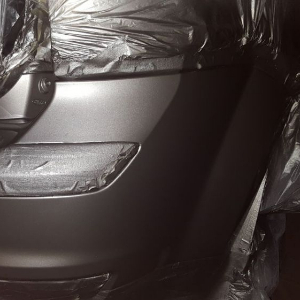 After the chosen Bumper repair system is advanced, we prime the bare plastic to promote adhesion. We then apply a flexible back filler if needed. Next is the primer coating. Once the bumper is hardened, then we sand the bumper with a very fine sandpaper a few times. We then prepare the bumper for spray painting or respraying with colour matching. Then our team gets to work with the car painting. Your Toyota Hilux bumper will be like new. 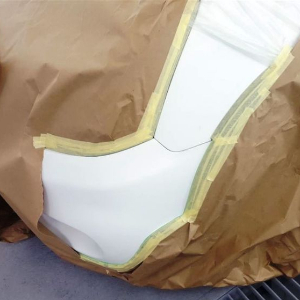 The Bumper repair needs to dry between applications and so we recommend giving us some time to properly cure and complete your bumper repair. If you need any other type of bumper or second hand bull bar repair, just let us know. After working for years in the industry, chances are that we figure it out and do it for you. 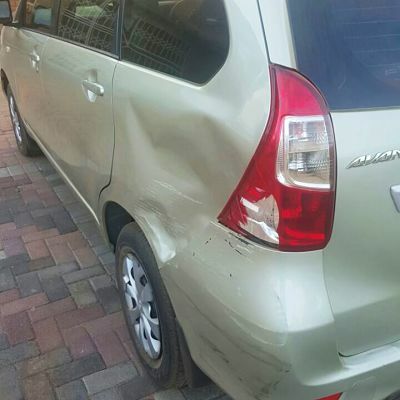 Are you looking for bumper repair near you in Pretoria? 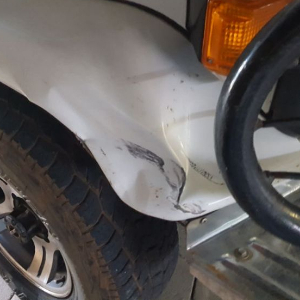 You may have been checking several videos on Youtube or elsewhere about bumper repair but there is nothing better than getting help from real bumper specialists like us. Consequently repairing bumpers yourself is possible but for the best quality possible, hiring professionals is a must. Due to Pretoria being called home, we have set up shop locally. We are 100% local which means you can call us and contact us anytime you want, you can even drop by our shop and say hi if you want to. Hence, we want to be able to assist the local residents with all their bumper repair needs and being close to you is the best way to understand what is really required of us. We use a wide variety of techniques like bumper repair with a heat guns, bumper repair with hot air plastic welder, bumper repair with hot water, bumper repair with fiberglass and many others…your car is one of your largest investments and we understand that you want to protect it as much as you can. Apart from the services mentioned above, we also offer bumper repair welding, auto repair, bumper scuff repair, and bumper dent repair are also offered among others. We use the latest bumper repair techniques to fix your car or any other vehicle of yours quickly and efficiently at a cost you can afford. Our pricing was designed to be competitive and attractive in order to attract and help as many customers as possible. For the reason that we are well priced, let us reshape your damaged or dented bumpers. Bumper repair is the first step you should take before repairing, priming, sealing or refinishing. It is a very reliable and cost-efficient way to restore your bumper to its pre-accident condition. You might have been involved in a classic car accident or in a parking lot incident, in both cases, we can help you. A bumper is an important safety feature which means you should take special care of it. Repairing your bumper right away, even if the damages are minor, is important. Even a minor collision can cause damage to your bumper and shouldn’t be overlooked. If you really need a new one, you can order one from us and we will install it for you right away. Great results guaranteed! Call us now at 087 550 8235 or fill out the inquiry form on our website and we will contact you back as soon as possible. You can expect superior value, honesty, reliability and exceptional customer service from our part! Our services are worth every Rand you spend! Bumper repairs can be fast! Give your bumper a repair that will last! Due to our skills and even more experience, you are in good hands. Due to our outfitted and equipped team, we have the tools to complete most minor repairs. We also have the paint products for spray painting in the to cover the greater Gauteng area. Our customers tend to look for an cheap way to get the damage repaired for the reason that they want to avoid filing an insurance claim. We use the highest quality equipment in the bumper repair industry, As a result this makes sure your vehicle gets back to its pre-damaged condition, fast. The experienced team and most noteworthy, have been doing this for many years, therefore, true assets. All customers are VIP. The team ensures that your experience is memorable and professional. We love Pretoria and have lived here for many years. In other words, we know all the ins and outs to get you the best prices for the services we provide. 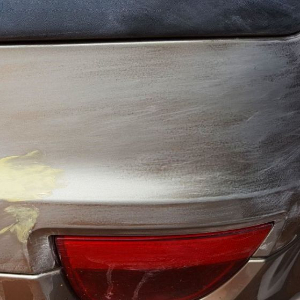 Here at Bumper repair Pretoria, we are happy to share some DIY tips and tricks. One of our favourites is the bumper repair with hot water. We always advise that a professional repair your car. Bumper repair trick with hot water. All you need is some boiling water, thick rubber gloves on your hands, so that you dont burn yourself, and some cold water. First of all, pour the boiling water over the plastic dent. Secondly, while the plastic is still warm, quickly reach inside and push the dent out. Thirdly and most importantly try to get it into its original shape. Futhermore, pour cold water over the area to preserve the original shape. Finally, we always advise that a professional work on your car.